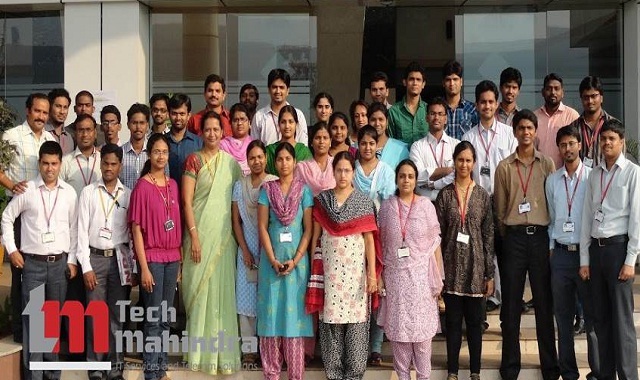 Tech Mahindra Business Services Ltd Career Recruitment 2018 -2019, Various Associate Customer Support Posts The Interested and Eligible Candidates are requested to Download Application through Official website www.techmahindra.com. Tech Mahindra Technical/Customer Support-Voice Process Jobs Notification 2018 Released. Tech Mahindra Business Services Very Urgent Walk-in || 12th Pass - Apply Now. Company Name: Tech Mahindra Business Services Ltd.
We are Tech Mahindra Business Services Limited a subsidiary of Tech Mahindra (a leading provider of solutions and services to the telecommunications industry). Located at Hyderabad and Pune, we have 10,000+ employees who work in the advanced 3G (3rd Generation) technology space and provide end-to- end CRM (customer relationship management) solutions for the Three network in the UK and Ireland, as well as Vodafone in Australia. Making Outbound calls to provide support for customers by collecting feedback. Demonstrate excellent communication skills in their specified language. Ability to understand customer needs and capture the VOC in CRM tool and escalate to concern team. Should have good understanding to improve customer experience. Candidate should be within 18 to 35 years of age. Should be able to converse in Gujarati/Punjabi and comprehend English language. Should be willing to work for 6 days a week. Must be willing to join us immediately. Please carry resume & one ORIGINAL GOVT. ID proof (mandatory). Interested candidates can send their resumes to CG00546490@TechMahindra.com (OR) Interested candidates can directly walk-in to the mentioned address.